The City of Sydney has unveiled the creative line-up for 2017 Sydney New Year’s Eve celebrations, including a new look and theme for Australia’s largest public event, conceived by experience agency Imagination. 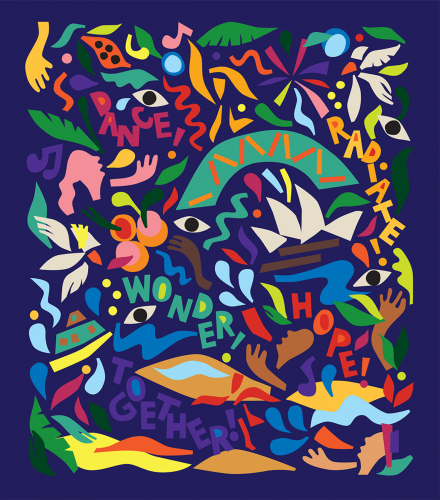 In its seventh year as the creative team behind the event, Imagination has set out to create a fresh, inspiring new theme and design for this year, once again collaborating with an up-and-coming Sydney-based artist. The culmination of almost a year of design and planning work across multimedia and physical assets, Imagination has helped bring Sydney’s vibrant mood and cultural diversity to life. 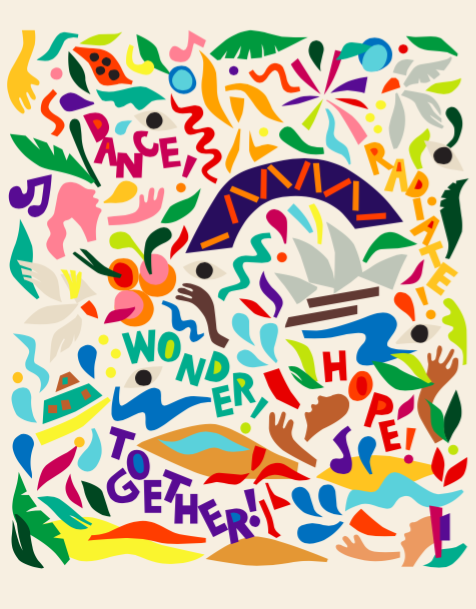 The creative expression for SydNYE is ‘Wonder’, with bold illustrations displaying a suite of stunning designs that represent Sydney’s sense of wonder during the summer months. Devised by Sydney-based multidisciplinary designer and artist Nadia Hernández, the City of Sydney and Imagination has continued their commitment to fostering local creative talent. Around 600 banners with five designs will be displayed around the Sydney CBD from the end of November to early January 2018. Once again, the Sydney Harbour Bridge will take centre stage for two spectacular firework displays: the family fireworks at 9pm, and the main event at midnight. The coat-hanger structure will see over 28,000 fireworks shot from 175 firing points – an extra 3,000 fireworks from last year, making 2017 the biggest display ever. Imagination director Heath Campanaro said the agency’s ongoing relationship with the City of Sydney remains a creative dream. “It’s with good reason that Sydney has been hailed ‘the New Year’s Eve capital of the world’, and each year we feel just as proud and excited to work with the City of Sydney to capture the vibrant culture the city is famous for,” he said. “Even in our seventh year, it’s a creative brief we love to solve, to showcase this iconic destination to the rest of the world. “The creative team’s continued enthusiasm and determination to demonstrate Australia is a global seat of innovation has once again shone through, and I’m delighted with the calibre of work for 2017.